Spending on a credit card is convenient and can be cost-effective if you choose the right one - but why not get some freebies out of your spending as well? If you’re a fiend for bonuses, perks and anything you can get for nothing, then a rewards credit card might just be the piece of plastic for you. But these cards can also have pitfalls - like generally higher annual fees and interest rates - so before you decide, check out this need-to know information about choosing a rewards credit card. Do you pay your bill in full and on time? The first rule of sensible credit card use is to pay off your balance as quickly as you can. Since rewards cards often come with pretty high interest rates attached, this is more important than ever. If you always pay your entire balance before the interest free period ends, you’re ready for a rewards card. Do you spend big? 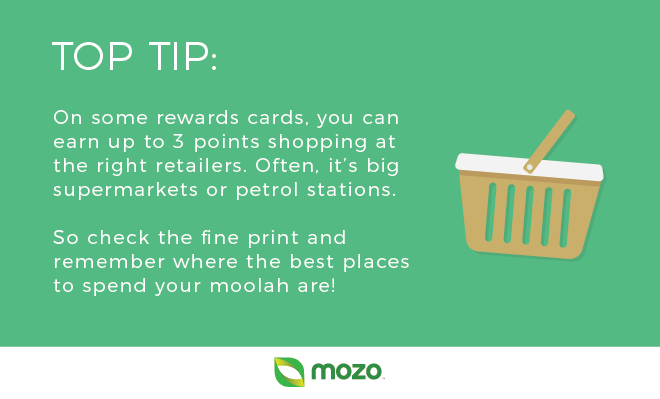 When Mozo did a study into the value of rewards cards, we found that you really need to be a big spender if you want to build up enough points to snag any really good rewards. If you’re just using your plastic for spending every now and then, the steep annual fee might cancel out any rewards value. Before you get caught up in browsing all the fun freebies your new credit card might snag you, let’s break down some of the credit card need to knows - fees and features that will affect how convenient and cost-effective your card might be. Annual fee. Rewards cards can certainly pack a punch when it comes to the annual fee - expect to pay up to $450! Having said that, there are options out there that will bag you some decent rewards value with no annual fee at all. The important thing is to do your research and weigh up the value of the points you’ll earn against the fee you’ll be paying. Interest rate. Snagging a credit card with a low interest rate is one of the most important ways to keep spending costs low, and with rewards card interest rates running higher than your average piece of plastic, you’ll want to pay attention to this feature. But remember - pay your credit card bill on time and in full each month, and you won’t need to worry about paying interest anyway! Extra perks. Rewards credit cards are all about freebies - but that doesn’t necessarily have to mean counting points. Your piece of plastic can also come with a bunch of cool bonuses like complimentary travel insurance, price protection, extended warranty or a concierge service. Contactless payment options. To make the most of your rewards scheme, you should use your credit card whenever you can - which is easier than ever with contactless payment systems like PayPass and payWave. Reward program fees. If you opt for a card linked to a frequent flyer program and you’re not already signed up, you may have to pay a membership or program fee to join. Some cards offer complimentary membership, so keep your eye out for one of those! What kind of rewards programs are out there? One of the biggest considerations when choosing a rewards credit card is which program it’s connected to. After all, there’s no sense in earning a bunch of points that can only be redeemed for things you don’t want. The main players on the frequent flyer scene are Qantas and Velocity. With these programs, you can redeem points for free flights, upgrades, accommodation and retail products like luggage or appliances. Right for you if: You travel often and spend consistently on your credit card. Perfect for the practical shopper, Coles and Woolies both have supermarket rewards programs so you can shave dollars off your grocery bill every time you shop. Right for you if: You’re not interested in yet another free toaster… and would rather put your points to good use on something you really need. Sick of complicated bonus programs that never have anything you really want anyway? A rewards card with a cash back program will put part of your spend back in your hand as cold hard cash. Right for you if: You’d rather have cash that you can spend as you please or stick in a savings account than choose from other freebies like retail products or flights. What’s the deal with rewards points? So you chose this card in order to build up a pile of rewards points and cash in on some great freebies, right? But how exactly do those points work? While each card and each program will be a little different regarding what you’ll earn and what you can redeem points for, here are the basic things you should know about calculating rewards points. Points per dollar. Rewards programs generally work by awarding you a certain amount of points per dollar you spend on your credit card. Although the amount of points you can earn per dollar will depend on the card you choose, aim for one that offers at least 1 point for each $1 to get the best value. Bonus point offers. Rewards credit cards often come with one off bonus offers that will let you nab thousands of points when you sign up for a credit card. But remember to read the fine print, because many come with minimum spend requirements, for example, you might need to spend $1,500 on your credit card in the first four months to bag the bonus points. Remember that many of these things will need to be posted to you, so it might take some time before you can enjoy your reward. And in the case of flights, it’s important to keep in mind that there are usually only a certain number of seats allocated to tickets bought with points on each plane - so if you don’t get in quick, you might not be able to snag a free trip. Other than that, make sure to read the fine print for your particular rewards program - some have other criteria for redeeming points, such as a minimum number of points that you need to redeem at one time. To make the most of your rewards points, you should be aware of any conditions they’re subject to - the main ones being a points cap and expiry date. 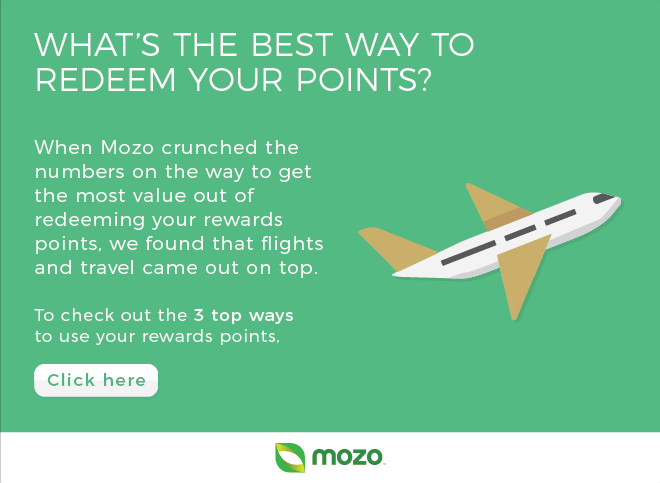 The number of points you can earn might be capped on a monthly or annual basis, or if you’re lucky, not at all. Make sure you know the maximum number of points you can earn in a given timeframe, so you can try to spread your spending out to bag as many as possible. Some points will never expire, and you’ll have as long as you like to use them. Other programs have point expiry dates - 36 months after you earn them is a common one. Not only should you make sure you’re using your points before they expire, but try to plan your spending so you can build up enough points for a worthwhile reward before the expiry date. If you’ve got existing credit card debt, you might be looking to get rid of it with a balance transfer. And why not earn some freebies while you’re at it, right? Well… actually, that’s not such a great idea. First of all, you won’t earn points on balances transferred onto your card. So you can’t use your debt as a way to bag a couple of extra thousand points. But the bigger problem is that new spending - on which you can earn points - will not only attract the regular interest rate, but also needs to be paid off before you can even start chipping away at your debt. So don’t count on earning heaps of rewards at the same time as paying off your credit card balance - a better strategy is probably to pay down your debt, and then set your sights on earning a bunch of cool freebies. Reward cards can be a great way to earn some cool extras and get some of your money back while still having convenient access to credit. But, like any credit card, they should be used responsibly to avoid a mounting bill. Overspending. You might be excited to start earning rewards points with every dollar you spend, but getting carried away can lead to overspending on things you don’t actually want or need. And that’s one of the quickest ways to break your budget and wind up in debt. Avoid overspending by getting yourself in the right frame of mind: remind yourself that the points are just an added extra and shouldn’t be the main goal of your spending. Letting points expire. As covered above, expiry dates are one of the things you have to look out for when storing up rewards points. Many people forget to redeem their points until it’s too late and miss out on some great freebies. 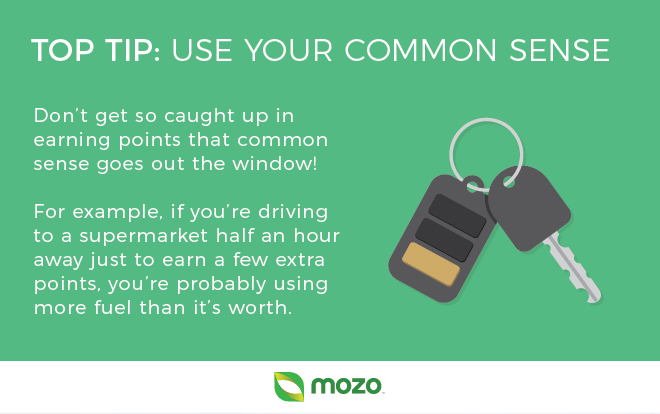 Try setting yourself reminders for when a large amount of your points will expire, or better yet, plan your spending and points earning with a goal in mind. Saving up points for a flight home for Christmas? Work out a timeframe during which you can earn and redeem points for that purchase.